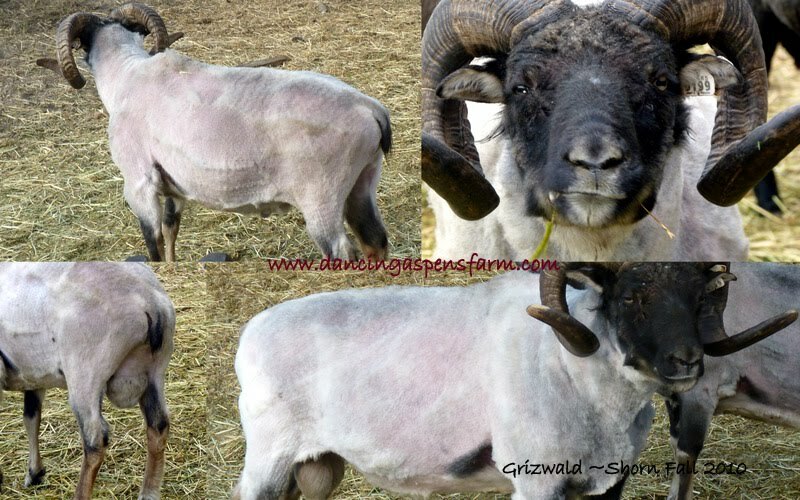 Here at Dancing Aspens Farm we have a beautiful selection of both horned and polled rams to use on our ewes this fall! We feel quite blessed. 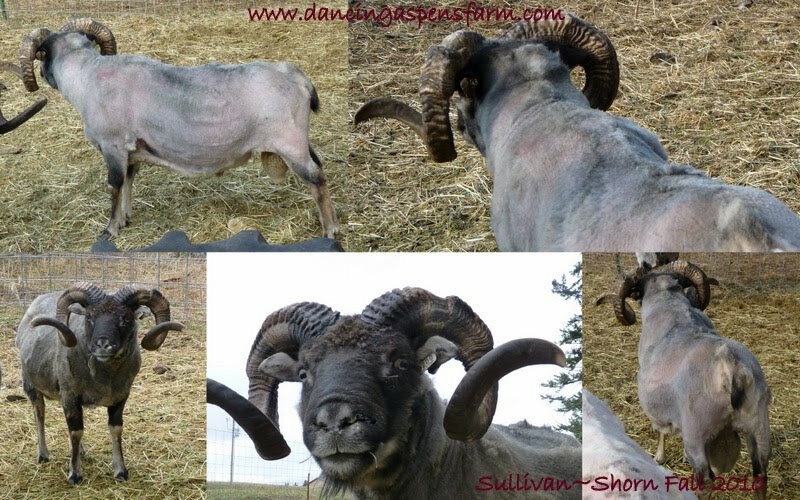 is a black grey mouflon with beautiful horns. He has an incredible build and fabulous fleece. We are so excited to be adding these genetics to our flock. He comes from milky line and has beautiful babies! Grizwold has a calm and respectful personality~ a bit shy. We know he carries spotting and can expect, mouflon, grey, and spotting in his lambs. 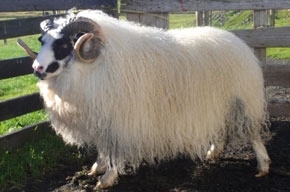 From Hestur farm- Hestur farm is a government run breeding station where breed improvements have been going on for decades.Description: Hörvi is white and horned with rather long head but vigorous. Neck and shoulders are muscular but chest is narrow. Back is very broad and muscular as loins also are. Legs are well muscled. feet are thin. Hörvi is long bodied with well muscled back and legs. Wool "Tan fibers in fleece and on feet but not striking. Black fibers were not found. Medium quantity and medium fineness." Hunn is horned with coarse shoulders, wide chest and good conformation, back and loins are muscular, thighs well muscled. feet are strong. Hnn is long bodied and vigorous. Lot of tan fibers all over the fleece but no black fibers were found. Wool quantity above average, lot of thel but coarse thog. Dropi is white horned, speckled on head, has long horns, strong looking neck, broad and well connected to the shoulder, strong well muscled but not too broad, chest broad, chest cavity wide, back strong, well muscled. Rack is muscled drawn back leg muscle fantastic, meaty rear end. leg muscles deep. Wool- average quantity, fine, curly. Feet thick. Big gut powerful leg muscles. White yellow on head and back of tail up onto back, black hair on wool and back. Quantity and fineness ok. Dropi gives all colors. is a black grey mouflon with incredibly wide horns with deep ridging. He is absolutely beautiful! He has a calm and friendly personality. He is conformationally correct with a very meaty frame. He has a beautiful, soft, thick fleece as well. He comes from a wonderfully milky line and we incredibly blessed to be able to add his genetics to our flock. is a polled spotted black grey ram lamb. He has great length, an incredible fleece with a wonderful muscling and conformation. He has very milky lines. 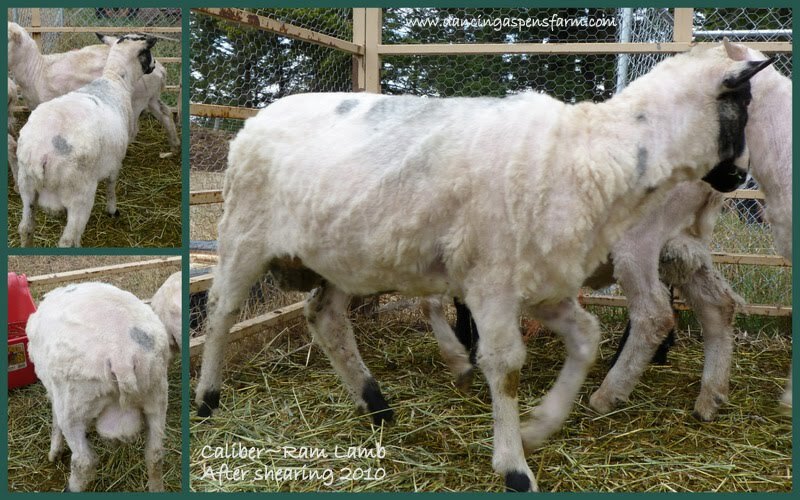 is a smooth polled ram with wonderful growth and a beautifully soft and dense fleece. 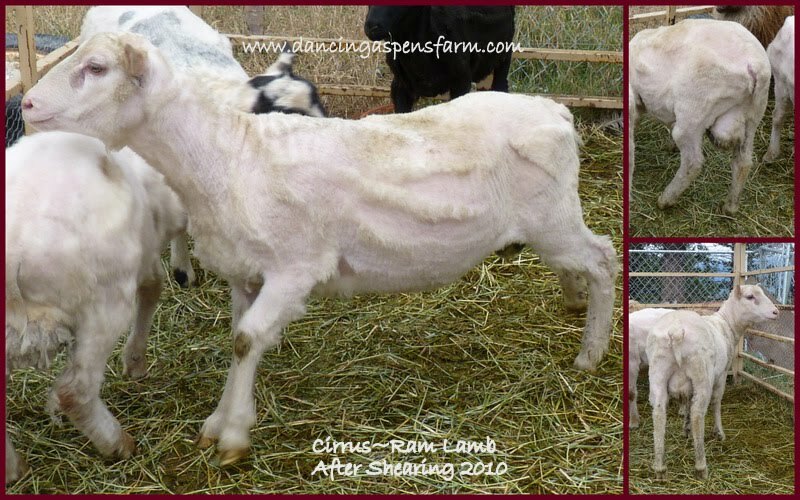 A muscularly ram lamb with great conformation and very milky lines. 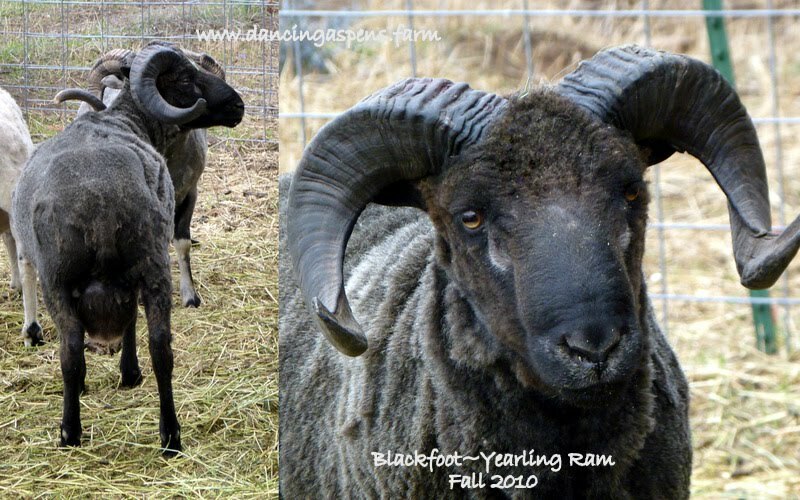 is a solid black, horned ram that carries moorit and spotting. He has thick muscling and is long bodied. His mother was very milky and very motherly. His lambs are quick growing and inherit his incredibly thick, wide, deep ridged horns. Morró is moorit with fine horns. Th head is powerful, neck and shoulders well muscled and conformation average. Back muscling quite good, loins long and muscled but not broad. thigh muscle well shaped but not deep. Morró is a well built moorit sheep. Biskup is black with a blaze and socks. Biskup is sensible and calm and looks intelligent. 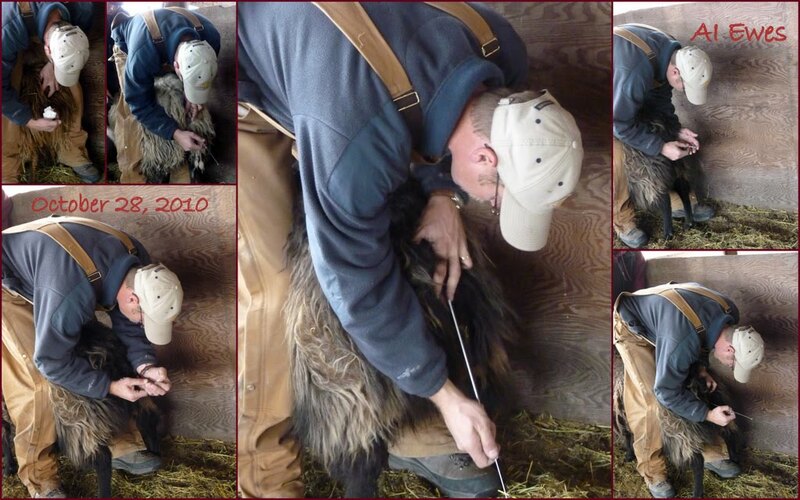 Biskup is likely to preserve leading abilities well in the Icelandic sheep. Moorit mouflon, horned. Powerful head with good horn curving. Shoulders a bit coarse but chest is wide and conformation good. Back is broad, strong and muscular. Good loin muscling. Gigots above average and straight and strong feets. Good looking ram. Little bit greyish in the fleece and starting to lighten. Medium wool quantity, medium thog and good thel, fine and soft. Kóngur is white and horned with vigorous head. The neck is short and braod but shoulders a bit coarse. The chest is broad and conformation about average. The back is very muscular, broad and strong. The loins are broad and muscular. Thighs are well muscled and excellently shaped. Feets are straight. Kóngur is lively and rather longbodied sire. Tan on feets but no tan fibers in the fleece. Two black spots on back. Quantity less than average, the thog fine and soft on shoulders, coarse on sides and rather short on back. The fleece is very lustrous and the thel beautyful. Bambi is horned, dark moorit. The head is good looking, neck and shoulders well muscled. The chest is rather narrow. Back, loins and thighs are adequate. Feets are well placed and straight. Bambi has good overall conformation and strikingly good temperament. The wool is fairly dark moorit. Colour distribution is fair with some gray thog in back of the fleece. The thog is a bit coarse but the thel is very soft. Wool quantity near average. Hvellur is horned and white. Very alike his father, Hylur 01-883. Very well muscled shoulders and good conformation. Long, broad and strong back and extremely long and muscular rump. Very vigorous, long-bodied and muscled ram. No tan fibers. Average wool quantity. Fine thog but not much, even thel. Lustrous fleece. Hvellur was progeny tested at Borgarfell Farm and bought for AI after a very good results there. he scored 160 for the ram lambs which had thick eye muscling, good leg muscling and meat grading as well as leanness. Because of his young age no indexes or daughter records are available yet. His mother had single one year old and once after that, otherwise twins. Her milking abilities are well above average. Raftur is horned and white. Vigorous head with good horn curving. Thick and well muscled neck and shoulders, good rib shape. Superb back muscling and excellent rump and leg muscling. Very vigorous and muscled ram. Tan on head and tan fibers in the fleece. Rather fine thog and wool quantity little below average. Raftur was progeny tested at Hestur exp. farm. His progenies are exceptionally lean with great muscle thickness resulting in excellent meat grading. Raftur combines the qualities of his ancestors, Lodi 00-871 and Gari 02-904, with tremendous results. 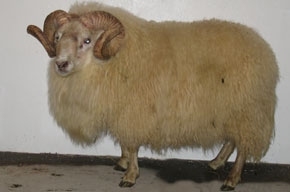 Raftur is most likely the best Icelandic breeding ram so far. Raftur's daughters are very prolific with good milking abilities. Color Inheritanc~Blettur carries moorit as well as grey and spotted so all colors are possible on Blettur's progenies. Blettur is horned and grey spotted. Vigorous head with especially good horn curving. Very good rib shape, broad and muscular front body. Broad back and broad and very well muscled rump. Superb leg muscling. Very vigorous and beautyful ram. Wool quantity well above average and even fleece. Curly and medium fine thog. Lustrous and good wool. Blettur was progeny tested at Ytri-Skogar farm. His progenies have good eye muscle thickness, good meat grading and are overall well muscled with good conformation. Blettur's daugthers have average prolificacy and milking abilities.